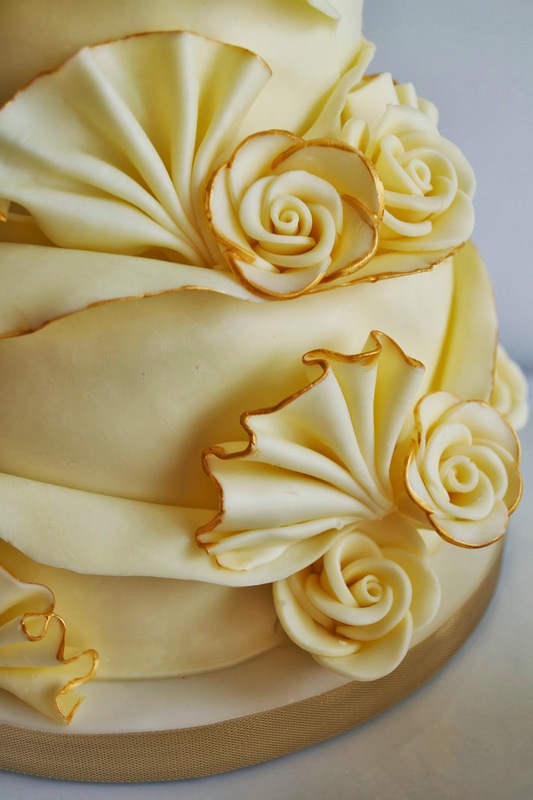 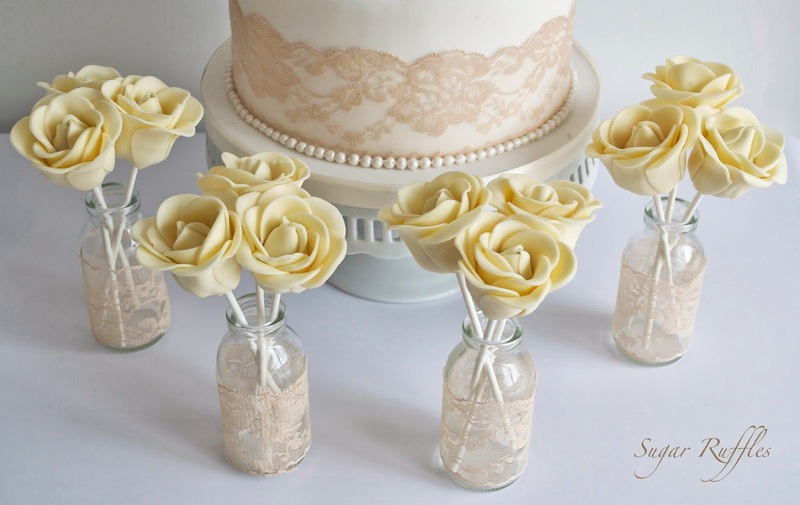 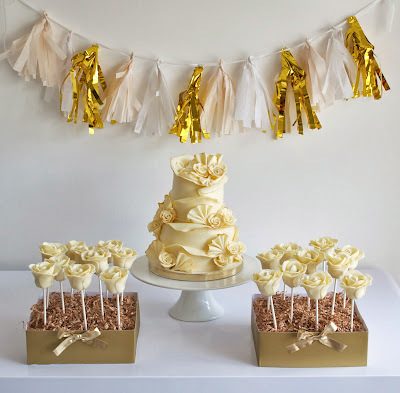 A white chocolate wedding cake with roses & fans and painted gold edges, 20 white chocolate rose cake pops +100 lemon cupcakes with vintage gold pearls (not pictured). 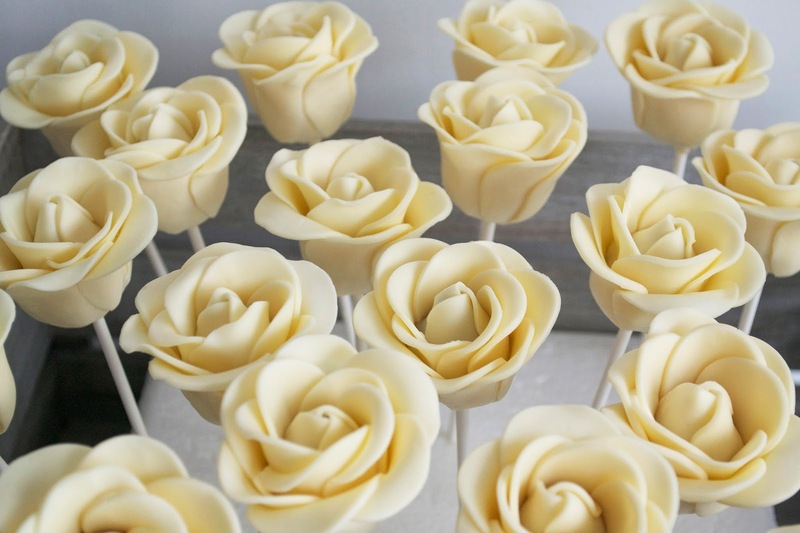 Our chocolate rose cake pops can be individually packaged and used as wedding favours or can be displayed alongside your wedding cake. Our chocolate rose cake pops are available in white, milk or dark chocolate and contain a delicious cake truffle centre.